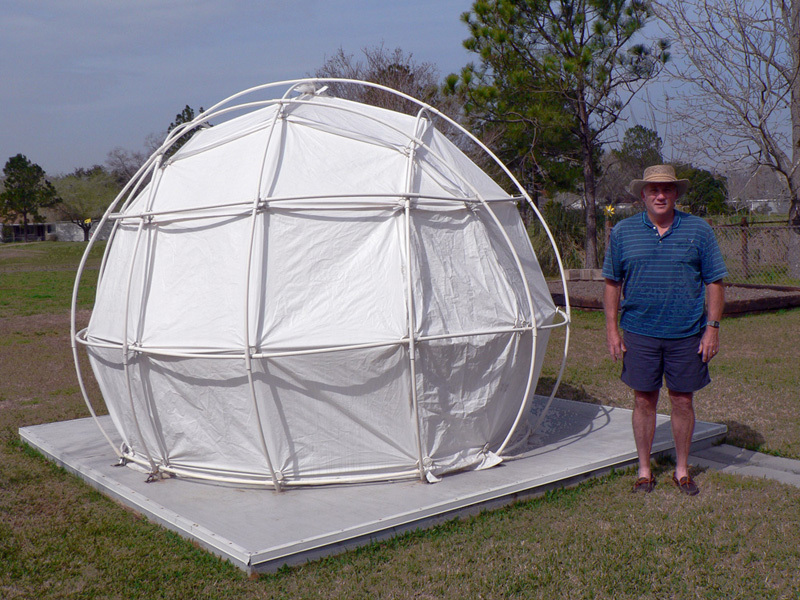 Located at 35' above sea level in my back yard in Friendswood Texas, about 25 miles S of Houston. 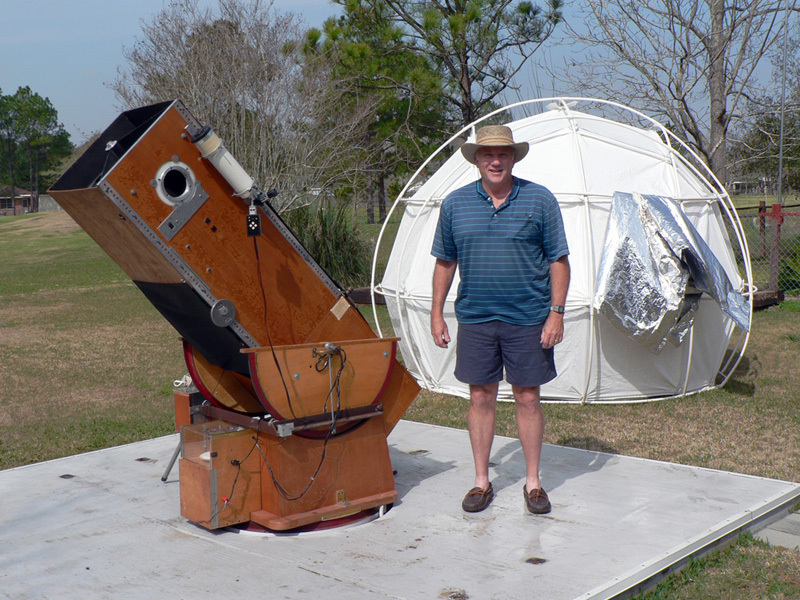 Primary instrument: 17.5" f4.5 Newtonian telescope designed and built by Andy Saulietis, Al Kelly, and Jack Petersen. Vintage 1981 Coulter optics refigured by Sky Optical in the late 1980's. 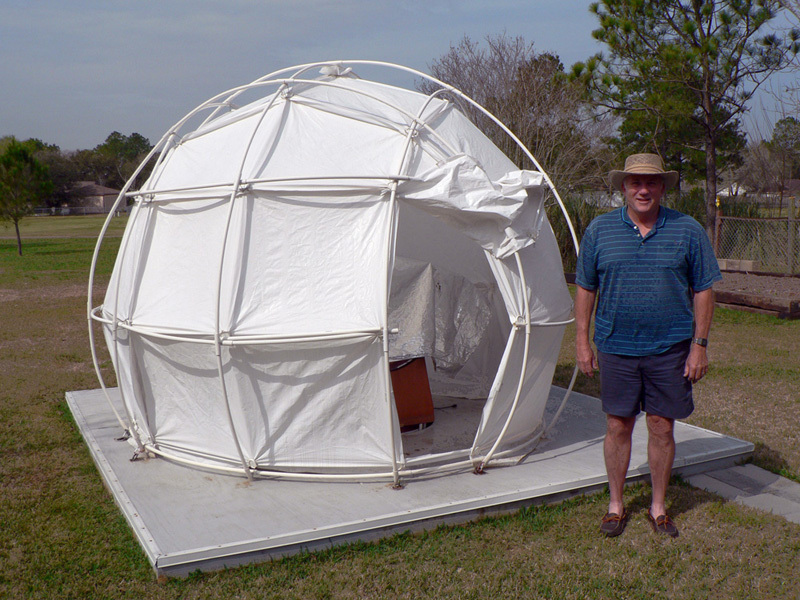 Geodesic "Bubble Dome/Yurt" by Shelter Systems ( http://www.shelter-systems.com/bubble-domes.html ). Attached with quick-release camping clips to marine plywood deck finished with marine deck paint.